We always love seeing the new paper goods pop up during National Stationery Show week. No surprise that Rifle Paper Co.'s preview is an absolute favorite so far. See coverage from the event this week over at Oh So Beautiful Paper. ahhhhhhh i love these! So cute and creative! 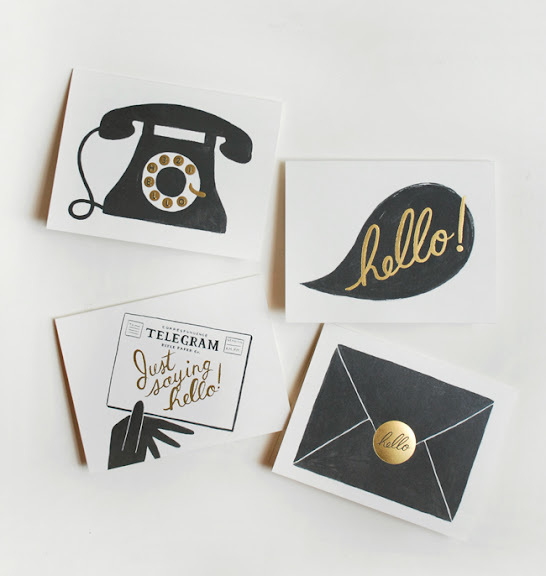 Dying over these black and gold hello cards.